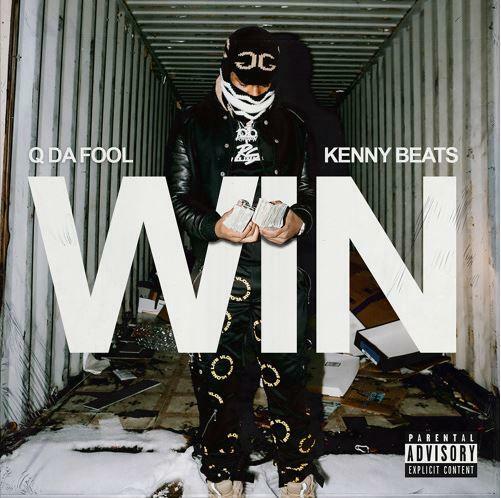 Home>New Songs>Q Da Fool Songs> Q Da Fool & Kenny Beats Link Up On "Win"
Q Da Fool and Kenny Beats have been winning all year and now, the rapper and producer celebrate their success on their new collaboration. With Kenny Beats handling the production, you're bound to have a banger. Q Da Fool and Kenny Beats serve up an upbeat banger titled, "Win." Kenny Beats cooks up a flute-laden beat for Q Da Fool to deliver some motivational bars. The DMV rapper details at how he constantly wins despite the odds not being in his favor. Q Da Fool and Kenny Beats prove to have undeniable chemistry on their new song. Hopefully, we hear more from them in the future. This is one of the many moments that Kenny Beats has shined this year. The producer linked up with Vince Staples for FM!, producing the majority of the project as well as Freddie Gibbs' recent solo offering, Freddie. However, he's also handled production for the likes of Rico Nasty, Key!, and ALLBLACK as well. O.T. Genasis Switches It Up & Releases New Single "Bae"
Lil Mosey Gets Into The Holiday Spirit On "K For Christmas"
SONGS Q Da Fool & Kenny Beats Link Up On "Win"